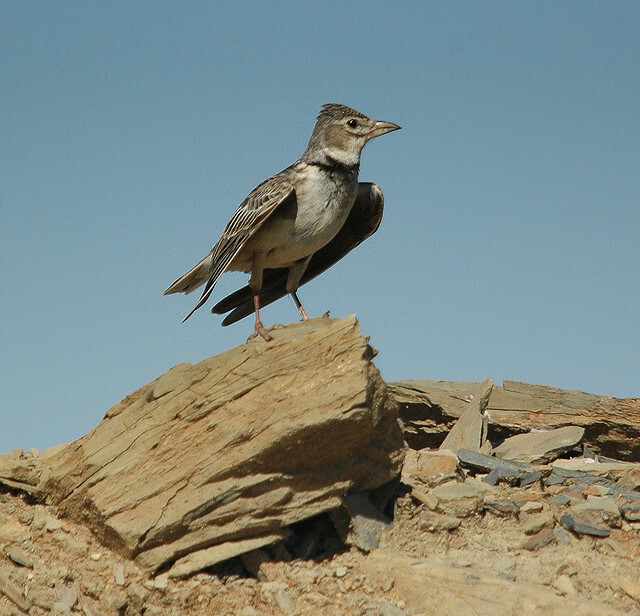 The Calandra Lark is a vagrant in Western Europe. Typical is the black spot on its flank below the neck. 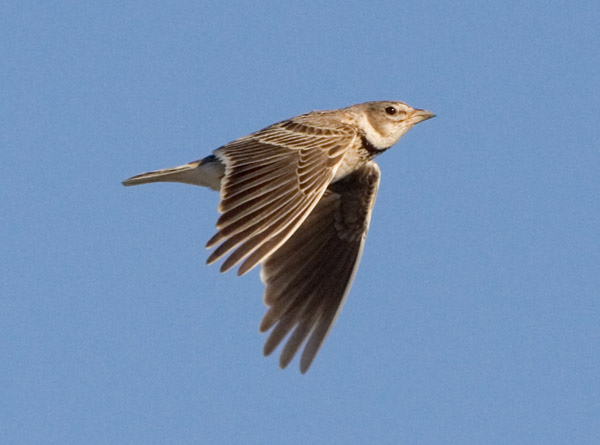 The Calandra Lark breeds in the south and east of Europe in pasture areas and open steppes.